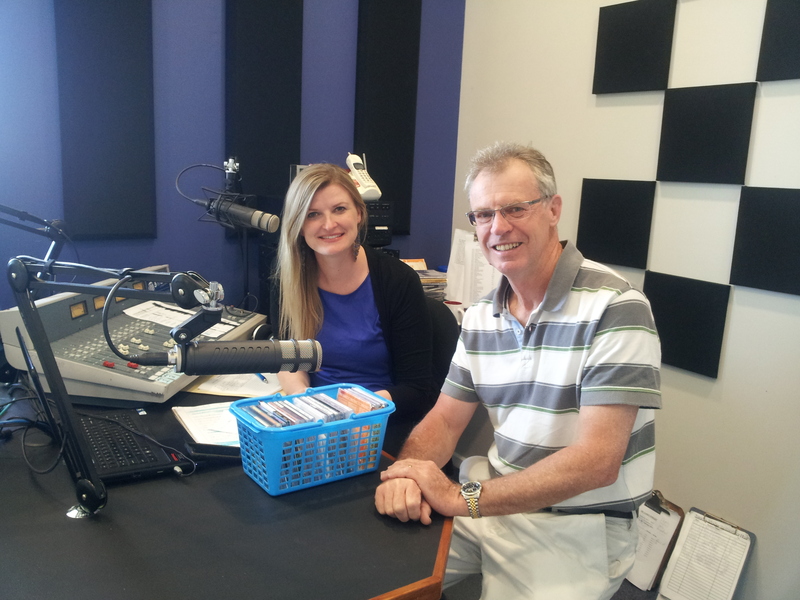 Rob Forgan, took a day out from his ‘Gap Year’ experience, to be a guest on 5 THE FM’s morning program with Rebekah Wednesday 6th February. Rob is a new member of the passionate community group Rehls @ Wehls, who regularly screen a variety of International films at the Wehls Street Theatre in Mt Gambier. They will host a special screening ‘A Royal Affair’ on Valentine’s Day this year Friday 14th February. The Wehl Street community group was established over 5 years ago by a group of people who seeded this project with personal funds. They wanted to screen films not shown anywhere else in the region and films that the community would normally have to travel to Adelaide or Melbourne to see. Films must meet a certain criteria and are not being screened anywhere else in the region, is one of the important requirements. They are complimentary, not competitive, to any other screenings in the area and a huge variety. “The mix over the years has been remarkable,” Rob said. “We come under the banner of the Victorian Film Society and Patron David Stratton and Margaret whose ratings we watch and if they rate a film under 31/2, we don’t screen it. “People from Mt Gambier, Millicent, Penola, Casterton and even as far Dartmoor and Nelson make up the audience on many nights and some do not even check what is screening. They come for the experience, the social outing and are prepared to enjoy the unknown screening on the night. Films are screened every 6 weeks, usually on a Thursday evening except on Valentines day and this year the special Valentines Day screening will be on a Friday. “Sub-titles are usually provided because the films are in a variety of languages depending on the film. French and Italian films are popular but there is a variety of cultures represented at the screenings. One Scottish Film was so hard to understand, even though it was in English, we really needed the sub titles because the only easily recognisable words were the ‘swear’ word,” Rob said. “The sub-committee sometimes watches the film beforehand but often they take it on the recomendation of peers or members,: Rob said. “We have the next four years dates planned which makes us even more organised than the International Olympic Committee!” he said laughing. Rob laughingly calls this year his Gap Year and we asked him, gap year from what? Rob Forgan retired from his SE Local Government Association (SELGA) Executive Officer role in February 2013. SELGA, a regional local government association represents the 7 Member Councils in the Limestone Coast (SE) region. Rob is no stranger to the South East having spent his teens and the majority of his schooling in Penola and Mount Gambier. His family left the region in the late 60’s and Rob somewhat older and wiser made the decision to return with his young family to the Limestone Coast 30 years later. Over the past 15 years, Rob has served on a broad range of regional, state and cross border committees in the Green Triangle region. Some of these included the Green Triangle Freight Action Plan Implementation Management Group, Regional Roads and Transport Working Group, the Limestone Coast Economic Diversification Forum and the convenor of the SE Road Safety Strategy. Rob also led a successful campaign to amend the Commonwealth’s restrictive criteria on Student Income Support that discriminated against and disadvantaged regional youth who needed to leave their homes in regional Australia to undertake tertiary studies. Rob’s previous employment history includes the delivery of small business advisory services in regional South Australia and a substantial background in Human Resource Management specialising in recruitment. His work colleagues are impressed with his lateral thinking, his capacity and commitment, his extensive networks and knowledge of regional Australia. His peers all remark that they have come to understand and appreciate his unique sense of humour. As Rob puts it “we spend a large chunk of our time at work, we may as well enjoy it, make it enjoyable and fun for those we interact with and not take ourselves too seriously”. Rob and his wife Julie are avid travellers whose passports indicate that they regularly seek the road less travelled with recent adventures in Cuba, Mexico, Cambodia and Laos and have plans to continue for as long as possible. In his opinion, the Limestone Coast still is a great place to live and work and an Australian region often overlooked despite its unlimited potential. Categories: Business, Community Groups, Events, Human Interest, Millicent, Mt Gambier, Penola, Wattle Range | Tags: 5 THE FM, Rebekah Lowe, Rehls @ Wehls, Rob Forgan | Permalink.